Stop! Look! Listen! What's Up? presents notices about local events, readings, and congratulations, and offers the occasional report from writers in various locales about what makes their cultural community tick. 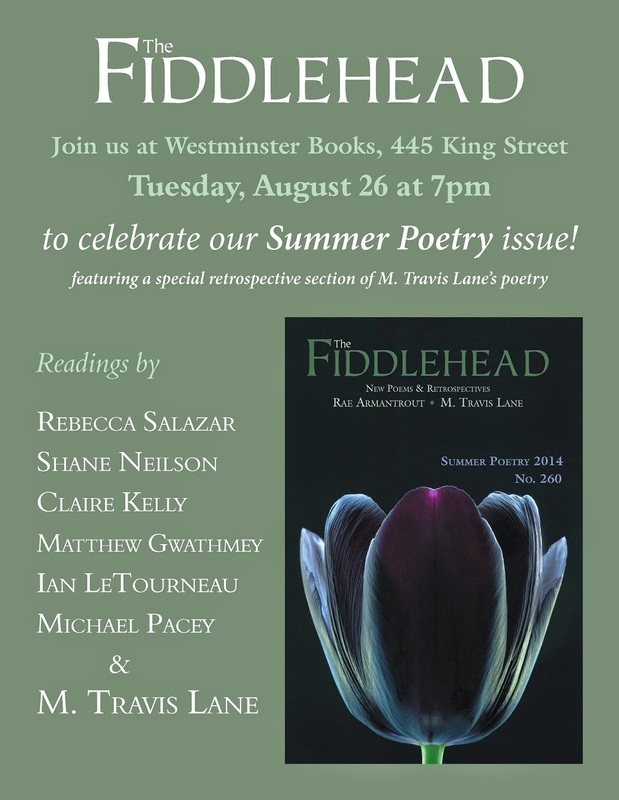 Read more about Summer Poetry Issue Launch! 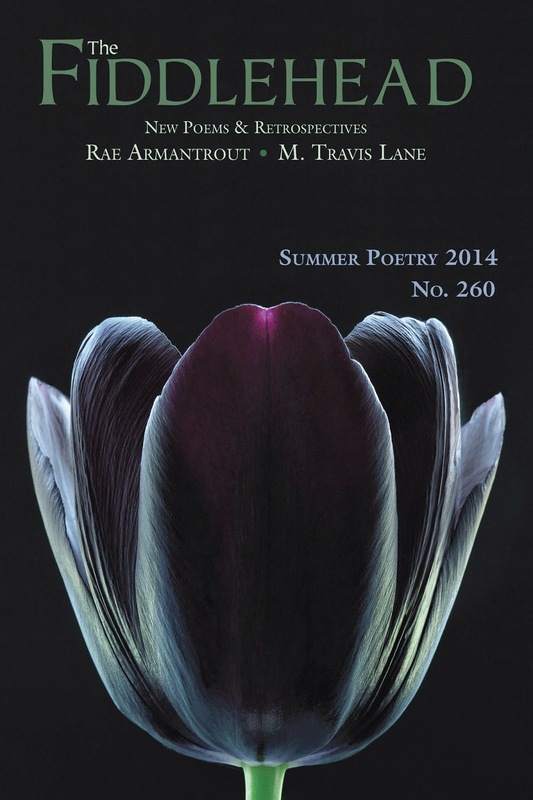 Our 2014 Summer Poetry Issue is Out! Read more about Our 2014 Summer Poetry Issue is Out! If you're in the Fredericton area over the few weeks, there are some great literary opportunities on offer. The Fredericton Arts Alliance is hosting writer Forrest Orser as part of its artist in residence program this week. And on June 25, CBC Radio will be recording Grownups Read Things They Wrote as Kids at the Cedar Tree in downtown Fredericton, which promises to be fun and hilarious. Details on both below. The Writers' Federation of New Brunswick invites you to its annual WordSpring event, taking place this year in Fredericton from June 6-8. For more information or to register, visit the WFNB website! And follow WFNB on Twitter! Announcing the Winners of our 23rd Annual Literary Contest!!! Stay tuned for upcoming interviews with Kayla Czaga and Myler Wilkinson! Read more about Announcing the Winners of our 23rd Annual Literary Contest!!! Spring has Arrived — Well, at least The Fiddlehead Spring Issue has! Our Spring issue is in the mail and on its way to subscribers and newsstands! Stay tuned next week for the announcement of our contest winners! Until then, we wish you a happy long weekend! Read more about Spring has Arrived — Well, at least The Fiddlehead Spring Issue has! Rawi Hage, Canada Reads finalist this year, defended by Samantha Bee, will be reading from his work at University of New Brunswick on Wednesday, April 2, at 8:00 p.m. in the East Gallery of Memorial Hall. Admission is free and all are welcome to attend. The University of New Brunswick would like to invite you to a reading by local poet Ross Leckie. 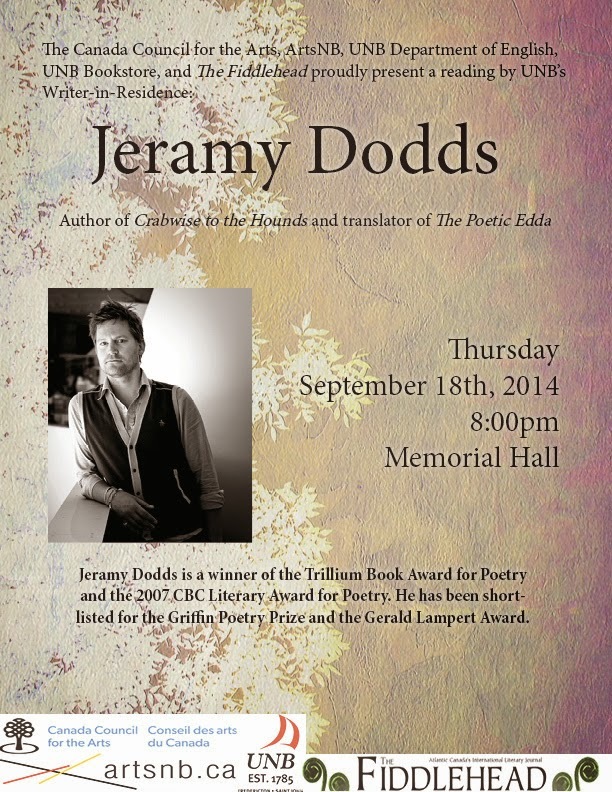 He will be launching his new book of poety, The Critique of Pure Reason (Frog Hollow Press, 2013). This Sunday, February 23 at 2pm come to Molly's Coffee House (554 Queen Street) in downtown Fredericton to listen to Richard Kemick and Shari Andrews read from their poetry. This event is free — there's even a draw for free books! — and all are welcome.